Dr. Amy Tuteur, asks a common question in a New York Times opinion piece. "How safe is homebirth?" Her question is undoubtedly loaded. Known online for being a classic troll, she has been banned from commenting on a number of blogs such as Nature and Science and Sensibility for her inflammatory behavior. She claims homebirth is deadly and any midwife without a nursing degree and a masters degree is dangerous. The statistics in Alaska prove otherwise. "Homebirth is deadly, birth centers are not." Many midwives that work in the birth centers also do homebirths. Some birthcenter midwives used to exclusively do homebirths, and some homebirth midwives used to work exclusively in a birth center. They carry the exact same equipment and have the same training requirements in both settings. There is no difference in safety, unless a woman's home is a long distance from the hospital or there are unsanitary or unstable conditions where she lives. In that case, a birth center is safer to deliver in. Nurse midwives are safe, CPMs are dangerous. In Alaska, CDM/CPMs undergo a rigorous training and licensing process. 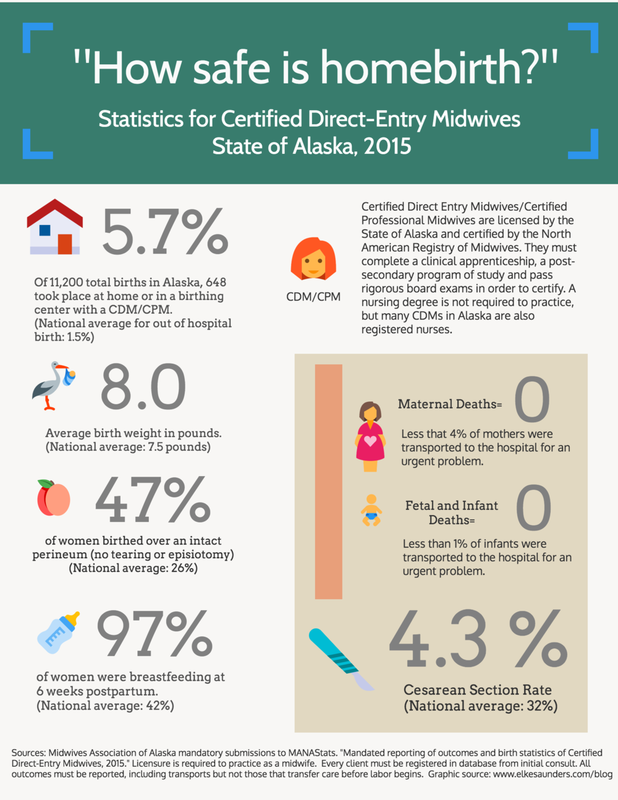 The larger midwifery practices in Alaska employ at least one CNM and a number of CPMs. They work side by side, share clients and follow the same regulations in the birth center. CNMs are not in charge of the CPMs, they work as peers. CNMs are hired because they can prescribe birth control, do well woman care and bill insurance certain insurance carriers such as Tricare, not because they have better training or education. Most CNMs graduate with limited or no out-of-hospital and independent midwifery experience. In contrast, CPMs that train on the job for 3 years while apprenticing. Midwifery statistics from MANAstats are not valid, because participation is voluntary. In many jurisdictions, licensed midwives are required to submit all outcomes from all women that register under care to the MANA database. This is true in Alaska and many other states. As with all of our regulations, this requirement is strictly enforced. Newer PostA doula won't outshine a DAD.